With a central role in NBC's The Apprentice, Trump's star is soaring. 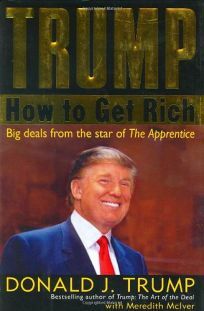 In his fifth book (after The Art of the Deal, he offers a cursory glance behind the scenes of the hit reality show, but the bulk of the text consists of business advice (""Be Tenacious"";""Play Golf"";""Be Optimistic, but Always Be Prepared for the Worst"") with illustrative details culled from his real estate and media dealings. (The glimpses he presents of his transformation of 40 Wall Street hint at a story that might deserve a more serious book all its own.) There are some surprises; at times, the quintessential New Yorker sounds almost like a California New Ager as he recommends up to three hours of quiet reflection a day along with the writings of Carl Jung. But he's soon back in recognizable form, advising readers to""screw enemies back"" and explaining why various people (including former governor Mario Cuomo and talk-show host Joy Behar) are dead to him. Trump appears comfortable with himself, and he even makes light of potentially touchy subjects, such as his hair:""My hair is one hundred percent mine. No animals have been harmed in the creation of my hairstyle."" There are occasional missteps, like an imitation of the New York Post's iconic gossip column""Page Six,"" which reads more like an annual Trump Christmas letter. But Trump's books have done an effective job of capturing his grand personality in print, and this volume is no exception. B&w photos throughout.